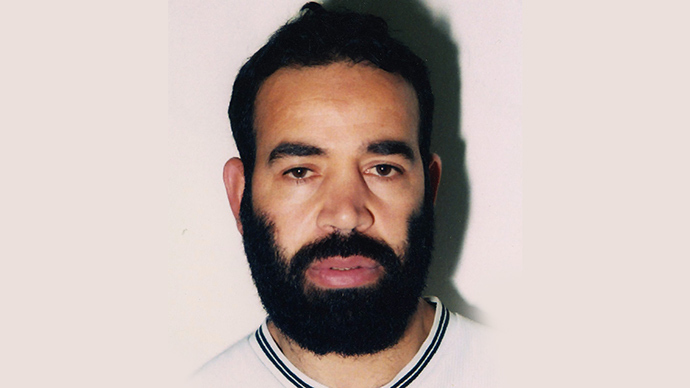 Baghdad Meziane, 49, was convicted in 2003 for “entering into a funding arrangement for the purposes of terrorism” in the UK along with his friend Brahim Benmerzouga, the Telegraph reports. Benmerzouga was deported just after his release in 2009, while Meziane is still in the UK despite attempts to send him to Algeria. Meziane insists that the deportation would breach his right to a family life, as his two children were born in the UK. He has also stated he could be tortured upon his return to Algeria. The situation in which Meziane cannot be deported due to the Human Rights Act has caused indignation across the UK. However, Home Office representatives assure they are continuing their efforts to deport Meziane, despite their fruitless attempts. It has been revealed that Meziane came to the UK illegally from Algeria in 1997 along with Benmerzouga, and settled down in Leicester unnoticed. Meziane led a quiet life with a wife and two children, played football, and attended a nearby mosque. There was nothing suspicious about the two friends living next to each other until September 25, 2001 – just two weeks after 9/11 – when anti-terror officers arrived at their houses. Meziane and Benmerzouga were arrested and accused of funding arrangements for the purpose of terrorism. Police discovered the two men had acquired £200,000 (US$302,900) through credit card fraud for an international network of terrorists. They also worked together to recruit terrorists, and also made equipment and false travel documents. It is now known that Meziane had close links to Al-Qaeda recruiter and convicted terrorist Djamel Beghal, who is believed to be behind the radicalization of Kosher supermarket killer Amedy Coulibaly and Charlie Hebdo gunman Chérif Kouachi in a French prison. It was reportedly Beghal who organized crossbow training for Hayat Boumeddiene, the female accomplice and girlfriend of Coulibaly. Meziane gave Beghal a false passport which enabled him to visit a terrorist training camp in Afghanistan. Beghal, also Algerian, and Meziane had known each other since the 1990s, the Telegraph reported. They both were followers of Muslim cleric Abu Qatada, who was often described as Osama bin Laden’s spiritual ambassador in Europe. The two men attended Qatada’s prayer meetings in central London and called him their spiritual mentor. Despite close relations, Beghal confessed to his part in a plot to blow up the US embassy in Paris, landing Meziane in jail. Qatada was then deported to Jordan after a long-running legal battle with the Home Office.